Brisbane couple Isikeli and Malavine Pulini have been convicted of forcing a Fijian woman to work as their domestic servant for eight years and will be sentenced at a later date. The couple had pleaded guilty to harbouring an unlawful citizen, but denied they were guilty of human trafficking and forced labour offences. Malavine Pulini was found guilty of trafficking and forced labour while her husband Isikeli Pulini was also convicted of the forced labour offence, but he was found not guilty of trafficking. 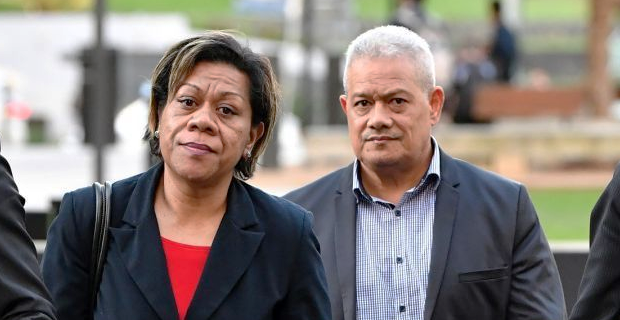 The trial heard the couple brought a Fijian woman to Brisbane on a tourist visa in 2008, confiscated her passport and forced her to work long hours for between $150 to $250 per fortnight. Crown prosecutor Ben Power said it was "a secret hiding in plain sight" until the Fijian woman escaped the house in 2016. Police charged the couple the following year. The prosecution said the woman previously worked for the Pulinis in Tonga and they brought her to work in their home because a "live‑in domestic servant" was "missing" from their life in Australia.